New Zealand is one of the most desirable destinations in the world. It features stunning landscapes, exotic ecosystems, and romantic Outback characters. Tourism aside, the pair of islands is one of the utmost for students. You can study politics, sciences, the environment and the indigenous Maori culture - whatever you wish. There is a program and a scholarship to fit the bill. There are several sources for financial help with international study. Governments of both host and home countries offer assistance, as do a number of study abroad organizations. Individual schools also offer programs specific to their specialities. Check with your school’s Office of International Studies to see what opportunities are available. The Benjamin A. Gilman International Scholarships are funded by the Bureau of Educational and Cultural Affairs and targets those students most underrepresented in traditional international studies programs, and those who would otherwise find study abroad financially unavailable. Beyond this altruistic goal, the aim is to sew the seeds for a more diverse global leadership. Eligible applicants are not only academically talented, but also hail from the more disadvantaged backgrounds, both socially and economically. Recipients must be receiving Pell Grants to qualify. There are over 2,300 Gilman Scholars rewarded for their studies each year. Candidates must be pursuing programs in non-traditional locations and the more deeply entrenched their studies, the better. Awards are up to $5,000. Recipients may also qualify for an additional $3,000 in the form of a Critical Need Language Award. Fulbright Scholar Program offers a number of opportunities for educational exchange of graduating seniors, graduate students and instructors. 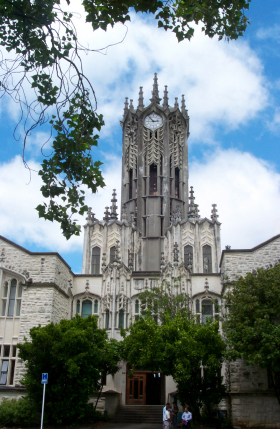 Grants are available to graduate students pursuing studies in New Zealand. The most eligible candidates will be engaged in programs of study in New Zealand culture and civilization, arts and culture, education, the sciences or political and social sciences. Fulbright Scholarships are typically available for a ten months of study, but the New Zealand program may be extended with further scholarships available from either the New Zealand government or select universities. Students wishing to study at the University of Waikato may qualify for the High Achievement Scholarship for International Students. The scholarship is worth 15% of the full international student fees for the second year of undergraduate study. Students who achieve a B+ grade average over their first 120 credit points will be automatically eligible for the new scholarship for their next 120 credit points. The University of Canterbury offers the International Mobility Inbound Study Abroad Award to students who have applied and been accepted for a semester or year of study abroad at UC. Awards are valued up to $5,000. Several more scholarships are offered by the New Zealand government and universities for international students interested in studying there. Awards vary greatly in amount, and are offered at all levels, with an emphasis on graduate and doctoral research. Private and sometimes not-for-profit organizations that make it their business to coordinate, design and provide innovative and compelling abroad programs often also make their business to keep you coming back by offering great scholarship opportunities. The Institute for Study Abroad-Butler University specializes in pairing undergraduate U.S. students with worthwhile international studies programs. In addition, Massey University is currently offering internships to students interested in journalism, marketing or communications. Credit for a US school and valuable experience are available. AustraLearn is a leading study abroad organization that exclusively deals in international programs of study for students wishing to study in Australia, New Zealand or Fiji. . Opportunities for study for a semester or year, graduate study, research and internships are available. University Sponsored Scholarships are available from a nearly a dozen Australian and New Zealand universities and given directly to students interested in studying there. Awards vary, but are generally around $1,000. New Zealand universities that participate are: University of Wellington, University of Waikato, Massey University, AUT University. Study Australia Scholarships are plentiful through the Education and Study Abroad Network, a prominent organization committed to providing a one-stop-shop for U.S. students who want to study in Australia, New Zealand or parts of Asia. They provide several program options in New Zealand. Scholarships are awarded based on academic merit and financial need. Travel grants are also given. Awards fall between $500 and $1,000. University specific scholarships are also available. The Institute for the International Education of Students (IES) is another leading competitor for study abroad programs. Students wishing to study in New Zealand may choose a program in Auckland or Christchurch, one on the northern island and the other on the southernmost island. Several scholarship and grant opportunities are available through IES. Awards vary, and range from about $500 to $5,000 or more. Among the programs are merit based and diversity scholarships, need based aid, partner university scholarships, disability grants, legacy scholarships, public school grants and more.